Location, Location, Location. Must see. NEW CENTRAL HEAT AND A/C, PLUMBING, ROOF, DOORS, WINDOWS AND MORE. This colonial house offer 4 bedrooms and 3 bathrooms has been completely renovated from the top to the bottom. Featuring over almost 3000 sq. feet of living area, an open floor concept , hardwood floor, kitchen with marble countertops, stainless steel appliances, bathrooms with marble and ceramic tiles. Master bedroom offer two big closets and private bathroom. Plenty space for big family. Enjoy your private deck with 1 acre overlooking lot. Rooms are wired with powerful Klipsch speakers, you can play music in any room, also house wired for AV rack in the basement for your TV cable and entertainments. 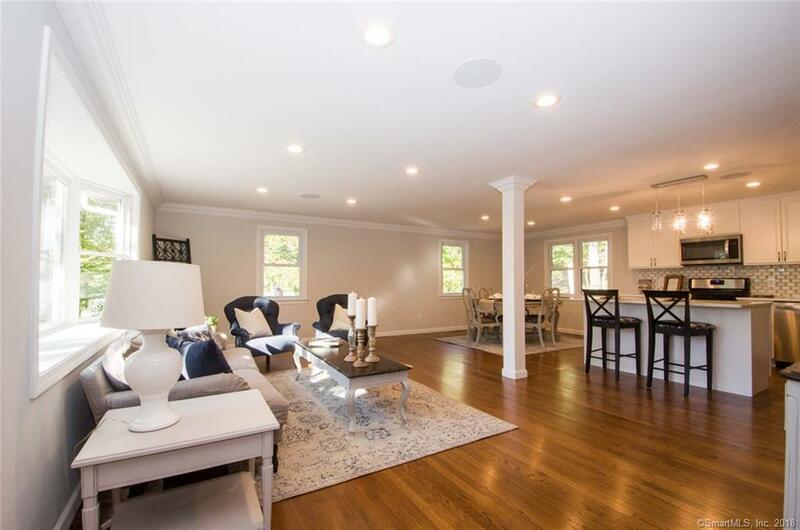 Conveniently located in a very quiet neighborhood, only 2 minutes away from schools, close to route 8, 25 and Merritt Parkway. Easy access to restaurants and shopping center.